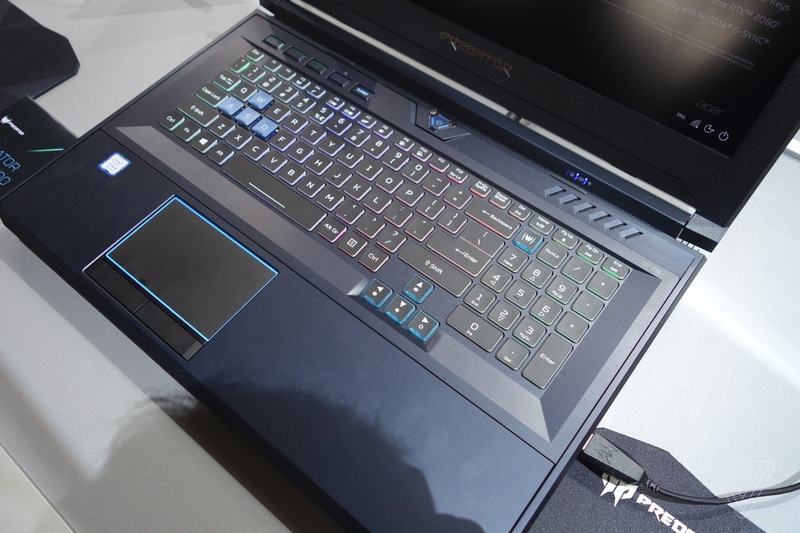 Acer just announced its latest gaming laptop, the Predator Helios 700. It looks like a larger version of the company’s Predator Helios 300 model, with an updated design. The keyboard and trackpad actually slide forward toward the user, and the trackpad tilts down to form a palm rest. The Helios 700 is being billed as the new flagship of the Helios line for Acer, with a 17.3-inch 1080p display, an 9th Gen Intel Core i9 processor, and ether Nvidia’s GeForce RTX 2080 or RTX 2070 GPUs (which is specifically said to not be a Max-Q design). The Helios 700 can also be configured with up to 64GB of RAM and up to a 1TB SSD or 2TB hard drive. 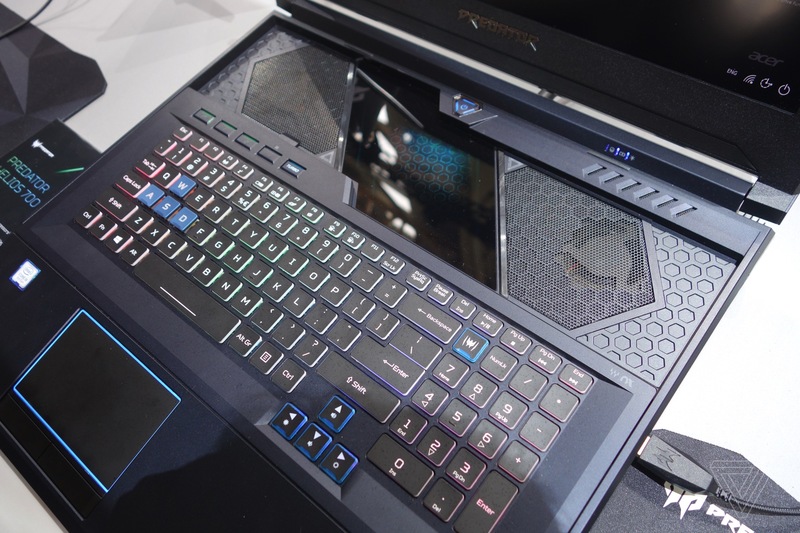 In a brief hands-on with the Helios 700, the sliding keyboard is a good compromise between those who like the keyboard in its normal place at the back of the base of the computer and those who like the front-loaded style that Acer has been pushing on many of its gaming laptops. Plus, the fact that the laptop essentially offers a built-in palm rest helps a lot with the comfort issues of using a front placement keyboard. That sliding keyboard also comes at a big cost. 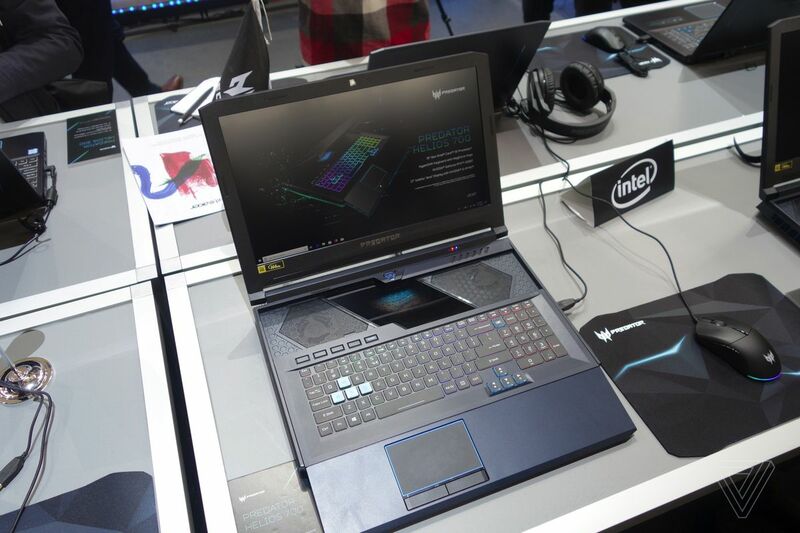 The Helios 700 is an absolutely huge gaming PC, measuring in at 1.64 inches thick (41.7mm) and weighing 9.9 pounds. 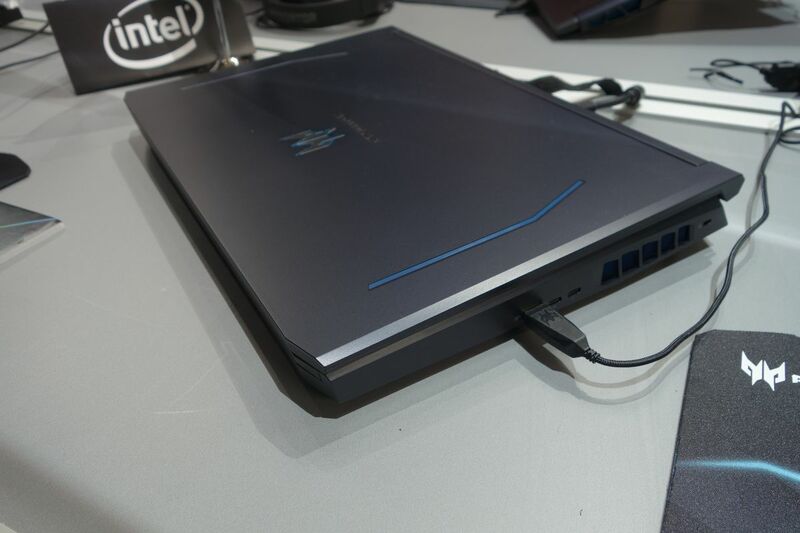 For comparison, the smaller Helios 300 is already a pretty chunky PC, measuring in at 22.9mm (for the 15-inch model). There’s no way around it — this is a massive computer. Along with the Helios 700, Acer also announced improved specs for the existing Helios 300 model, which will be getting Intel’s 9th Gen Core processors, an optional 144Hz display, and RTX 2070 Max-Q GPU. Like the Helios 700, no price or release date has yet been announced.